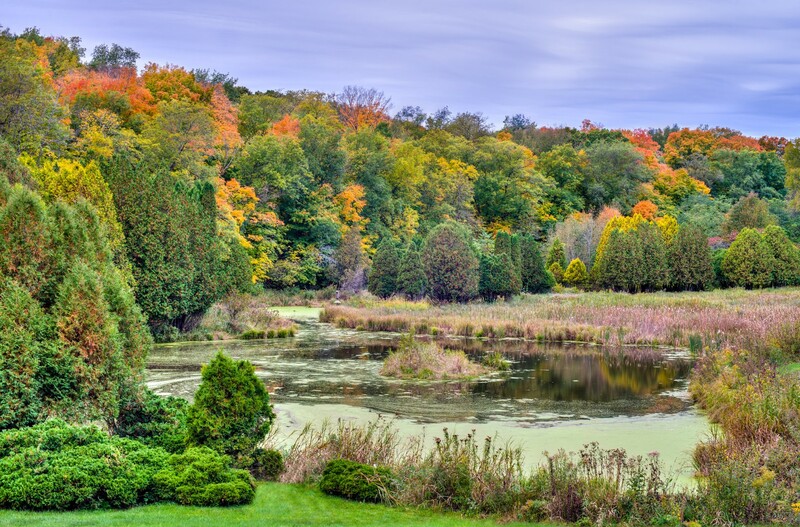 During the time of our interviews, Minnesota Landscape Arboretum’s Mike Monterusso was in the process of assuming the Executive Director role at the Alaska Botanical Garden. For this reason, our interview with Mike is brief, though we are pleased to share. Mike Monterusso: Since its founding (1958), horticultural research has been a key component of the Arboretum’s mission. Our PRE project supplements existing research that provides a resource to academia, municipalities and the broader horticultural community. MLA takes particular interest in evaluating cold-tolerant landscape plants known to be on the edge of their hardiness zone in Minnesota, or plants that may become invasive under the assumption of continued global warming (e.g. plants known to be invasive in USDA hardiness zone 5 or 6). I think the real story is just starting to unfold. PRE is so new that it’s impossible to say if/how/when it will be incorporated into MLA operations. I attended my first invasive species committee meeting here just a few days ago. I came prepared with PRE scores and other information, but it’s too soon to determine how PRE fits into existing processes. Toward the end of the meeting it was suggested that PRE could be PART of the invasive species review process, but not the entire process by itself. 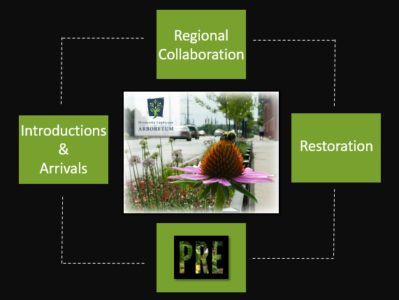 Minnesota Landscape Arboretum & the PRE process: PRE has the potential to be utilized in a variety of ways in MLA operations.